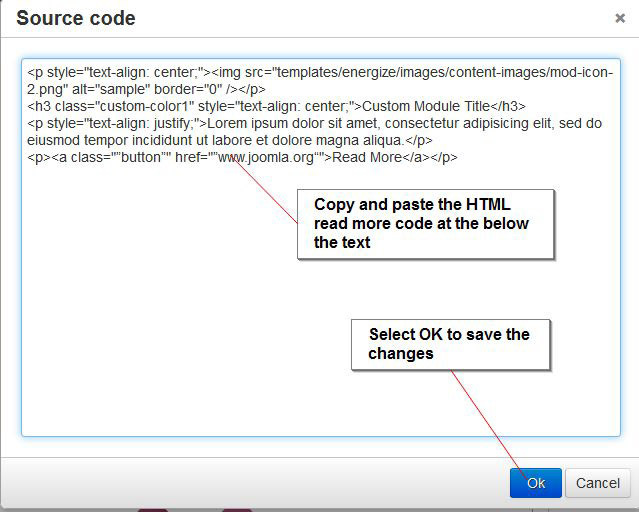 This article will help you add a read more button which can appear under the text for the custom HTML module position you have created or under the caption text for the each slide you have created for the slideshow. 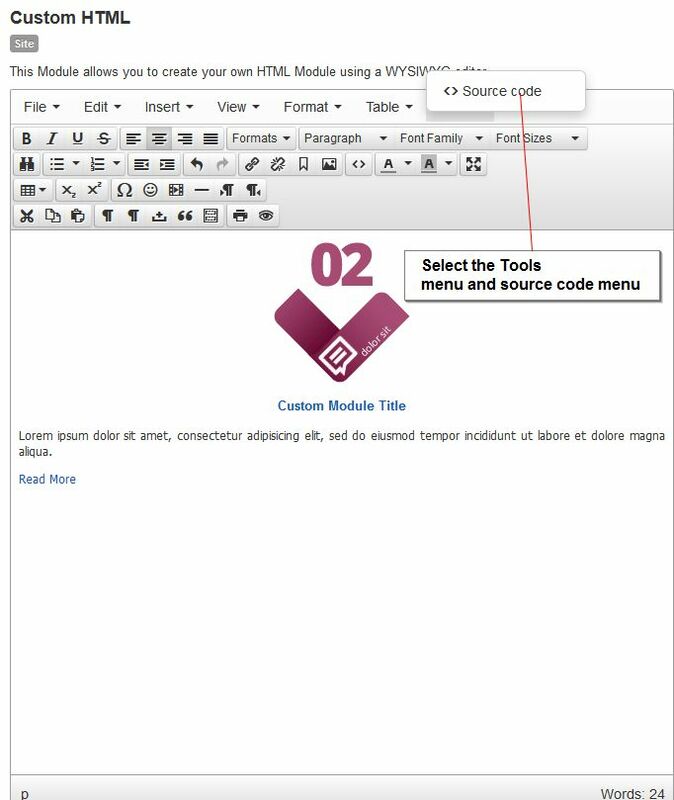 The read more button is useful if you want to create a hyperlink from the read more button to a specific article at your website. Note: You can include any text you want in button. For example you can include the text View More, Find Out More. 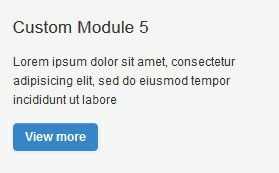 Save the changes to the custom HTML module position and the button will now appear below the text you have included in the module position or below the text you have created for one the slides included in the slideshow. If you need any help with setting up the button open a support ticket at the website.